Crm. J. W. Estes, son of Mrs. Maude Estes and the late John Estes, graduated from Davidson High School, Nat'l Radio and Television of Los Angeles; husband of the former Ruth Davis. 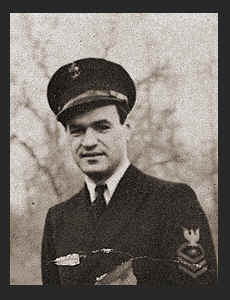 Entered the Navy in 1935, trained in San Diego, Cal., served in Hawaii, Ireland, England. He also did duty in El Paso, Texas.